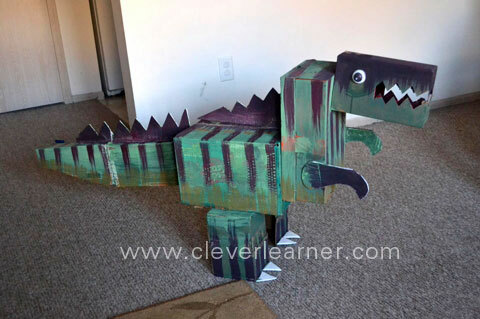 This dinosaur model I made at home with my little girl at home was just too much fun. It was huge, maybe 5ft long. We started out with looking for boxes (diaper box, shoe box, cereal boxes and the like). Check out what it came to. 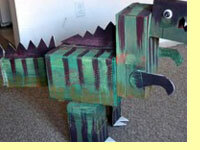 Below are the various steps we took to make the dino. 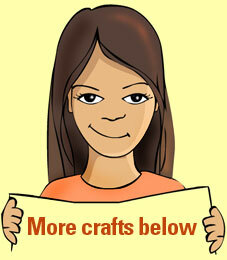 Don't throw away stuff, as you can use them for craft work like this. We used ping pong balls for the eyes, shoe box, diaper box and an old post box. You may need some really strong glue (adhesive) for this. For us, we did this over two days, as we had to make the boxes stick properly. The legs was a bit tricky. They had to be strong for it to carry the body. Try to get a good balance point. Unleash the paining skills now. We got some cheap paint from the shop to use. The boxes we used were a bit glossy and so the paint will not stick properly on them. We had to paint over it on three different occasions for the transparency to be covered. Now here is the final dino! Hope you had fun! Copyright © 2010-2017 cleverlearner in association with BusinessGhana.com.